In The Great Art Robbery Derren taught a group of old age pensioners how to get away with a robbery using various techniques such as how to stay unnoticed as well as controlling fear and nerves. The OAPs then embark on a large-scale robbery, which involves stealing an expensive painting from art collector Ivan Massow. The catch, however, is that Derren openly tells Massow the exact time the robbery will take place and who to look for. he Great Art Robbery is available on Channel 4’s All 4 On Demand service. 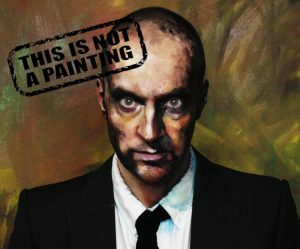 Interview of Derren about The Great Art Robbery.